Happy Mondays are back at Starbucks! 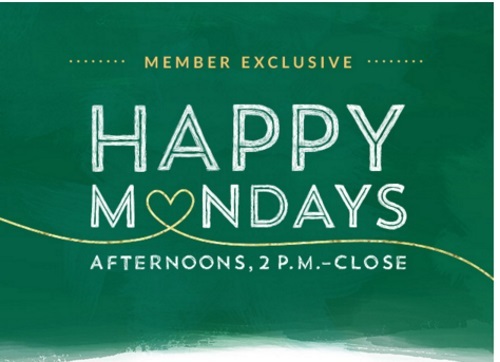 Stop in to Starbucks on Mondays throughout March from 2pm-close to get the special offer in-store. Must pay with your Starbucks App or registered card to get these offers. Offer valid at participating stores.